Ronnie Elgin Ramsey, 5807 Jim Cummings Hwy., Woodbury, was charged with Initiating the Process to Manufacture Methamphetamine, Maintaining a Dwelling to Manufacture Methamphetamine, Possession of Drug Paraphernalia, DUI and Violation of the Implied Consent law on July 9. 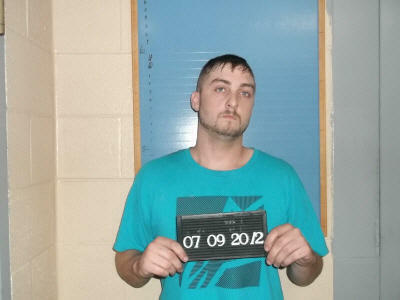 Cannon County Sheriff’s Deputy Travis Turney initiated a traffic stop of the 2008 black Toyota Scion Ramsey was driving on John Bragg Hwy. after he observed it weaving from lane to lane. After making contact with Ramsey, Deputy Turney observed him to have blood shot eyes. In addition, his speech was slurred. Ramsey was unable to perform a field sobriety test to the satisfaction of the deputy and refused to submit to a blood alcohol test. He was placed under arrest for DUI at that point. During an inventory of the vehicle prior to it being towed, Deputy Turney discovered what appeared to be paraphernalia commonly used in the manufacture of methamphetamine as well as hypodermic needles. The deputy at that point contacted Investigator Anthony Young, who obtained a search warrant for the vehicle. During his search, Investigator Young found a box in the car which had inside additional meth-making components. Sheriff Darrell Young also participated in the investigation at the scene. Ramsey’s bond was set at $155,000. His initial court date is Aug. 7.